As much as I love a good weights session in the gym, I do love this time of year when you can get outside. And this past weekend, I actually tested out a new way to mix up my cardio - instead of running along the water by my place, I tried something new....and I love it! Just a few blocks away from me is our local library. Because it's closed in the mornings on Sundays, it was the perfect time to test out my new routine - running up the stairs alongside the library. Fantastic! It's a pretty nifty way to mix up my cardio - fast, easy and (here's the best part)...cheap! All I did was run up the stairs and walk down. Repeat. Do as many repeats as you can and presto! A terrific interval workout that is a perfect way to end a cardio session! Try it out and let me know what you think! 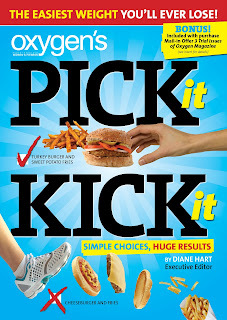 Here's a sneak peek of Pick It Kick It, the new book that I wrote for Oxygen. We're all really excited about it! It goes on sale in May, so check your local newsstands or pre-order it now. 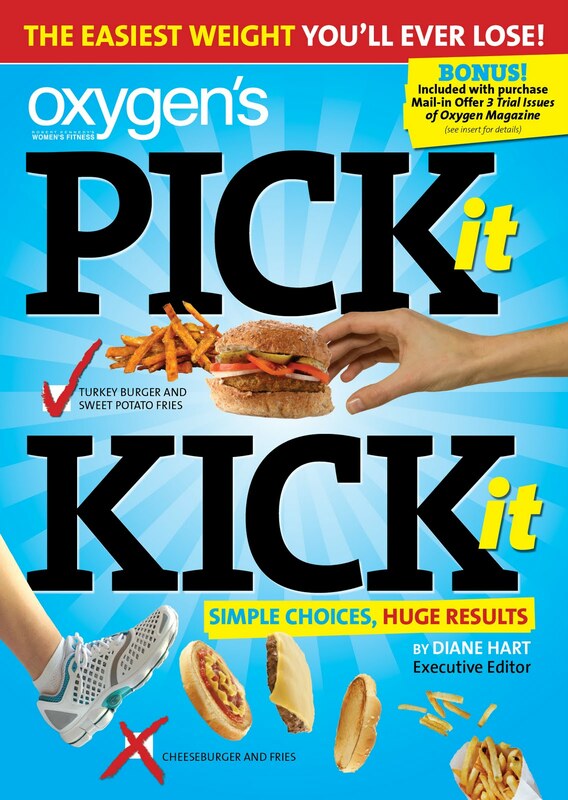 So excited to let all of you know about our upcoming Oxygen Collector's issue, Abs - we think it's better than ever! Not only is it packed with the great information you've come to expect from our magazines, we introduce a new face to you....cover model Miryah Scott from Calgary, Alberta in Canada. You'll read all about her and find out insider's training tips just by picking it up next month. It's on newsstands April 6! It's inspired me to incorporate some new ways to do abs (and I have to admit that all too often I leave 'em to the end of my workout). Check it out and then let me know what you think....anytime! Here are two of our favorite booth workers, models Rachel Davis and Brooke Griffin, still perky after a long day at the Arnold. I can't tell you how much i enjoyed working with all the models and chatting to everyone about Oxygen and the Special issues - everyone has such a positive attitude! (must be all that exercise and clean eating!). I hope that you are still on track with whatever plan you have to exercise regularly and eat clean: it's easy to beat yourself up about it. My daughter, Kate, who I just had lunch with today spoke the truth when she said what impresses her most about the mag is its feeling of "sisterhood". So, sisters in iron, stay tough - hang in there and have a great - and active - weekend! Wow! What an amazing weekend - thanks to all of you for taking the time to stop by our booth this year and tell us what you think of our magazines. We had a blast! It's always so inspiring to hear your stories and insights into what will improve our magazines. As tired as I am today (yawn), I'm also pumped to stay on the fitness and clean eating track (and even get a spray tan now and again!). I'll post photos from the Arnold soon....stay tuned! 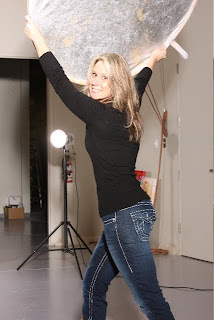 So here is Stacy K, Oxygen mag's editor-in-chief. If you haven't met her yet, just come by our booth at the Arnold – the whole gang will be there. We'll have lots going on – see you then!